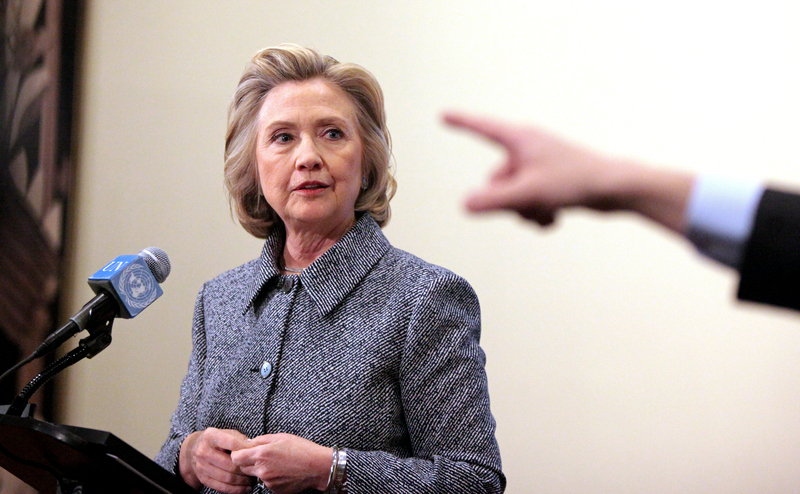 On Thursday, The New York Times released the first batch of Hillary Clinton's private emails. The correspondence has already been turned over the special House committee on Benghazi, and, yes, much of it has to do with Libya — but there are also glimpses into Clinton's private life. As the emails continue to come out, can we please remember to focus on relevant details and not the very stuff Clinton didn't want in the open? The Times did a document dump of a third of the 850 emails it obtained. Read it if you have a spare day or so. According to its reporting, many of the emails contain "unclassified but sensitive" information about Libya between Clinton and her advisers. But their piece also included a few parts that made me raise my eyebrows. The emails also offer occasional glimpses into the private side of Mrs. Clinton’s life, such as her public-radio listening habits and the fact that she was complimented for how she looked in a photo that appeared on the front page of the Times. They later expanded on the compliment. “Gorgeous pic on the front page of the NYT!” Ms. Slaughter said, referring to a photo of Mrs. Clinton. “One for the wall...” Ms. Slaughter then moved on to more serious matters, including her opposition to arming the rebels in Libya. Can't we stick to those "more serious matters"? We have 55,000 pages of emails to look forward to. Fifty. Five. Thousand. There could be a lot of potentially damaging information in there from a scandal that was, undeniably, shortsighted and dangerous. The Clinton emails should be released to the public. But there shouldn't be a focus on the personal details that are revealed in the process. Imagine, for a moment, if you turned over your personal email to the public. How much of it would you feel uncomfortable? Our job isn't to focus on the irrelevant details of the emails, but to understand how using a private email address could have exposed sensitive information about a horrible incident. If the emails were properly archived, no one would be sitting here showcasing that people on Clinton's team were trying to feed her ego. Clinton's error in using a private email should be a matter of scrutiny. Her private life should not.